How do I even begin to describe my all out, full force, head over heels love for this book, these heart melting and lovable characters, and this author’s outstanding writing? I don’t even know if it’s humanly possible for me to tell you how much I loved this book without feeling like I’m not saying it enough. I’m not sure I’ll be able to truly capture the true firework level love that was Jeremy and Sierra’s story, but I am sure going to try because this book and its true amazingness deserve it. 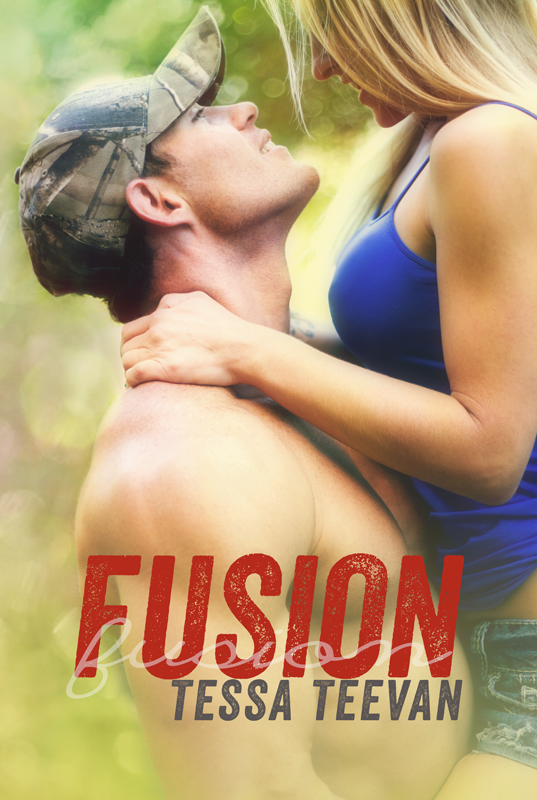 Fusion by Tessa Teevan was enrapturing, full of all of the feels, and it made me swoon and melt and just bask in everything that Jeremy and Sierra were sharing on just about every single page. This book gave me everything I’ve come to love and know from this author, and all throughout reading I was reminded of why this series is one of my all-time favorites. While I don’t know if I could pick a favorite book from Tessa Teevan’s Explosive series (because I’ve LOVED them all), this one is definitely at the top of that favorites list. The story was so beyond captivating, I was so consumed with Jeremy and Sierra through their journey together, and Tessa Teevan’s phenomenal writing brought every moment of this book to life in the most authentic and beautiful way. Tessa Teevan just hit this book out of the park. I have wanted Jeremy and Sierra’s story ever since I fell in love with them in Ignite. They always stood out in the very best possible way, and I knew they had one helluva story to be told, and I wasn’t wrong. Fusion gives you it all with them. It allows you to fall in love with the two of them all over again, as you finally get their story and how they came to be. Their story is full of emotions and feelings that you will feel and live every ounce of, and you will relish in every moment you share so fully with them in this book. From the first word until the very last you will feel it all and have one huge smile on your face because of what you’re getting to experience with these remarkable and heart squeezing characters. They’ll warm your heart again and again in this book, and you’ll truly never want it to end. Jeremy Banks is going to make you melt & swoon simultaneously. Jeremy Banks is officially one of my top book boyfriends ever. There is no way, and I seriously mean no way you won’t fall under his charming, lovable, and bursting with goodness spell. That man will melt your heart and a few other things as you read this story. He is an honest to goodness good guy who falls for a girl he meets when he’s 8 years old, and you will fall for him more and more the more you read this fantastic story. The feelings and emotions you get to experience with him over the course of the story will melt your heart and have you wishing that he was a real guy because it honestly doesn’t get better than Jeremy Banks. He is honest, sweet, charming as all get out, and he cares with all of his heart. It is literally impossible to not love that man. Seriously. You’re going to read this book and love him by like page 3. Believe me. It’s going to happen. Sierra is a girl you’ll instantly connect to & love. Sierra was such a fantastic character to know and love. She is real and honest and she is so beyond easy to relate to. I loved how easy it was to relate to her while reading, and I immediately connected to her while reading this book. I felt with her, I loved with her, and I lived through every moment with her because of how fantastically Tessa Teevan created her character. What I really loved about Sierra was that she never gave up. Through all the ups and downs of life, she kept pushing and giving it her all to end up exactly where she knew she wanted and needed to be. I have mad love and respect for that girl. Sierra is fun, lively, and so very real. She felt like my best friend while reading, and I loved every moment I got with her on her journey with Jeremy. She’s kind of the best, and there truly is something so special about her. How this story is set up. I really loved how this actual story was set up. It starts off in the present tense of this series, and then jumps back to where it all started for Jeremy and Sierra. This story not only shows you where it all began for them, it gives you more of the other characters that I loved in this series. (It honestly made me want to go back and read Ignite again, and I absolutely loved that!) You get to see some new things from them, and the way that Tessa Teevan weaves this story together shows her true talent as a writer, and the truly phenomenal stories and characters she can create. From friends to lovers to something so beyond beautiful. Fusion is a friends to lover’s story to the T, and it has all the feels and vulnerabilities and glorious awkward and lovable moments to go with it. It begins when both Jeremy and Sierra meet at 8, and spans 20 years of their relationship. You get to be with them through all the stages of their lives and relationship, and that invests you so immensely in them and what they’re sharing. You’re there in the moments when their feelings turn to something more, when they have their setbacks and their moments that’ll hurt your heart for what they’re going through, and in those moments that make it all worth it. You are there living through it all, and I can’t tell you enough how extraordinary that was to experience. Tessa Teevan’s outstanding writing brings it all to life in the most incredible and authentic way that’ll have you basking in what you get from every step of Jeremy and Sierra’s beautifully emotional journey together. The feelings and chemistry that spark off the page. To say that Jeremy and Sierra have intense feelings for one another is the understatement of the century. These two have feelings upon feelings upon feelings, and you get to feel every single glorious bit of them. You get to feel that spark and that connection they so fiercely share, and that’ll have you experiencing every single bit of what they do. Everything they share sparks off the page in the most exceptional way, and that combined with their charm and humor that just makes them them will have your heart beyond in this story. Like I said, they have a firework level love. A love that will mesmerize you, have you feeling it all, and will captivate you with its beauty, and in the end, after its all said and done, you’ll be in literal awe of everything you’ve experienced with them and those fireworks. So many moments that’ll melt your heart again and again. This book will melt your heart. Then it’ll do it again, and again, and again. It’ll keep melting your heart from the first page to the very last with everything that Sierra and Jeremy build to, fight for, and share within its wonderful pages. That’s not to say that these two don’t have their struggles and moments that’ll break your heart just a bit, but through it all your heart will be with them, feeling it all, and loving them through it all because they are that exceptional. Sierra and Jeremy have a truly beautiful story together that is real, honest, and full of a million moments that will have you melting and swooning simultaneously. It truly doesn’t get better then what you get with these two. Fusion truly was an exceptional book to read and experience, and I know without a doubt that this will be one of my favorite books from this series. This book gives you Jeremy and Sierra in all their incredible heart melting glory. You get to see and live through it all with them from the very beginning. You get all the feelings and emotions, all the changes and vulnerabilities they have and go through, and you get all of them, which is nothing short of perfection. This book will make you swoon, tear up, and feel so much that your heart will literally feel like it’s about to burst because of all you’re experiencing with these two. You’ll smile, laugh, tear up, and go through so much, and you’ll bask in every moment you get with Jeremy and Sierra as you see where it all began, and what gets them to the present of this book. It wasn’t always easy for those two, but it was real and true and honest, and the love those two share for one another is pure and beautiful in the most magnificent way. I guarantee you’ve never read a love story quite like this one, and that is just part of what makes this a truly exceptional read. Jeremy and Sierra are phenomenal in every way. What these two so truly share will have you knowing and believing that true love and first loves do exist, and you’ll get to see firsthand where that love can take you if you let it. You’ll get to feel every ounce of that love and all the amazingness it brings, and your heart will be so beyond full from the incredible things you get from this unforgettable book and love story. This series is one of the best and most enrapturing around, and Fusion just solidified my love of these characters, their enthralling stories, and the magic that Tessa Teevan so thoughtfully creates within the pages of her books. I cannot recommend this book and series to you enough. They are amazing, and full of everything that makes a book exceptional to read and experience. Period. This is a book and love story you never stop loving and feeling. It is that good, that full of everything, and it is so beyond beautiful that it will blow you away with everything it’s got. Trust me. What Jeremy and Sierra share will leave you so full and so satisfied that you’ll never want to leave the firework level love they so breathtakingly share. I’d like to start this review by saying that I would like to fall up into this book and live there for the rest of time. Seriously. If it were humanly possible I would do it. I would find myself within the amazing pages of this breathtakingly beautiful story that is chalk full of some of the best characters I have ever had the pleasure of reading, and I would never leave. The Fall Up by Aly Martinez was that good. It was that memorable. It was that emotional and moving and heart squeezing. It was that consuming. It was that everything. This book, just like every other book that Aly Martinez has ever written, completely awed me mind, body, and soul. The Fall Up and its unforgettable characters glued themselves to my heart from the moment I started reading, and I don’t ever want them to fully leave me. When I tell you I felt every word of this book, I mean I felt, and breathed, and lived every single word. My heart and mind were there every step of the way, living and experiencing it all fully in the most magnificent and all-feeling way. That was all possible because of what Aly Martinez so phenomenally crafted and created with her outstanding writing. This book moved me. This book allowed me experience an enrapturing story laced with everything that makes a book exceptional. It made me laugh, and cry, and think, and hope, and just feel. It gave me it all, and I basked in that because it was all extraordinary to experience. The Fall Up gave me everything, and that is just part of what made this book so utterly unforgettable. The Fall Up tells the breathtakingly emotional story of Levee Williams and Sam Rivers. Two people from very different walks of life, who find themselves on the same bridge, contemplating a world of things. They’re both on that bridge for different reasons, but they share the fact that they’ve both experienced more pain than any one person deserves to go through. They both know pain and loss, and what it feels like to not know which way is up because it feels like you’re just going to succumb and get lost in every heartbreaking thing you’re feeling. You see when Sam and Levee meet on that bridge their lost, and they’re looking for something. When they meet they don’t even know that they’re looking for something, but they know something needs to change. That feeling along with so many other things is what brings them together on that bridge. In the most unlikely of meetings, something sparks between them. They see something in one another that they can’t let go of. Something they can’t forget or stop thinking about. Something that gives them hope and makes them feel and starts bringing them back to life. 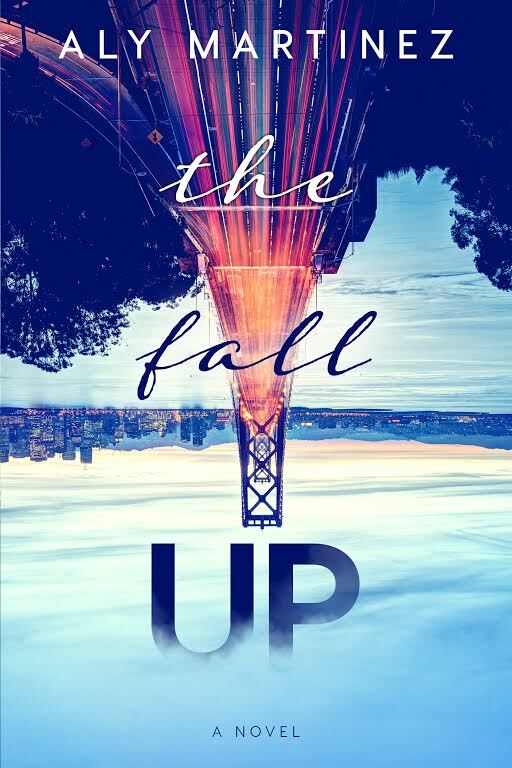 The Fall Up explores what happens when two people who’ve got some pretty heartbreaking cracks decide to see if they can fight together to heal those cracks and find their way up. Now let me tell you that the characters of this book are some of my favorite characters EVER. They were just kind of the best. They were easy to fall for, easy to care and fight for, and so beyond easy to love and connect to. I heart them all something fierce, but Sam and Levee, the main couple of the hour, will always hold a special place in my heart. Levee Williams is a famous singer who is beyond lost, and she’s sinking fast when you meet her. Over the course of the story you get to see what led Levee up to that bridge, and why she feels the immense level of things that she does. I can’t tell you enough how much I was blown away by her character. Aly Martinez allowed me to understand her, to get why she felt the way she did, and to feel for her so much because of all that she was going through. There were so many times while reading that I wanted to reach in, hug that girl, and tell her she could do it. I was so beyond emotionally invested in her, and I loved getting to see all the different sides to her character. There was the side of her the whole world go to see, the side of her that Sam got to see that was full of sass and banter and goodness, and the side of her that she let us and Sam start to see that was full of authenticity, vulnerability, and more heartfelt beauty than you can shake a stick at. Levee is an extraordinary character that you will love with your entire heart. Trust Me. Sam Rivers is hands down one of the most endearing and heart stealing male characters that I have ever read. He was charming, and hysterical, and he made me feel so much through every single page. Like Levee, Sam finds himself on that bridge for a lot of reasons. He’s got a past full of pain and hurt that is revealed as the story progresses, and you get the phenomenal chance to see how that past shapes Sam’s character and the choices that he makes in both the past and present. One of my favorite things about Sam though has to be how honest and downright good his character is. He isn’t afraid to say the hard stuff, to be honest, to make the right choices even if they aren’t easy, and that had me loving and respecting his character all throughout this book. I think it’s literally impossible to not fall under the effervescent and wonderfully distinctive spell of Sam Rivers. You can’t meet his good, repurposing, tattoo covered self without falling hard, and I guarantee by the end of this book you’ll never want to say goodbye to him. Sam and Levee definitely go on one helluva journey in The Fall Up that is full of emotional ups and downs you feel every lick of. These two don’t have the easiest of beginnings or middles for that matter, but those two are fighters. They’re flawed and real and have experienced a world of pain, and through this book you get to experience how they attempt to fight through all of that. You get to see them explore the immense and spark filled connection they share, while they try to find some much needed healing along the way. The more they fall, the more you fall right along with them. Their feelings are intense, visceral at times, and woven throughout this story in the most extraordinary way. Sam and Levee’s journey together is full of banter, sparks, feels, jaw dropping moments, and real honest to goodness emotions that will blow you away with everything they’ve got. Like I said, Sam and Levee don’t have the easiest of journey’s, but their missteps, their flaws, their pasts, and their presents make them who they are, and they make this story so distinctive and them in the very best way. Their story and what they share is so much more meaningful because of everything that they go through, every ounce of fight that they have, and everything that they’re doing to get that ending that they both so truly crave and deserve. All throughout reading The Fall Up, you’ll fall more and more under their dynamic and effervescent spell, and you’ll just love what you get from them both as they try to figure out what they could share if they really gave it all a chance. 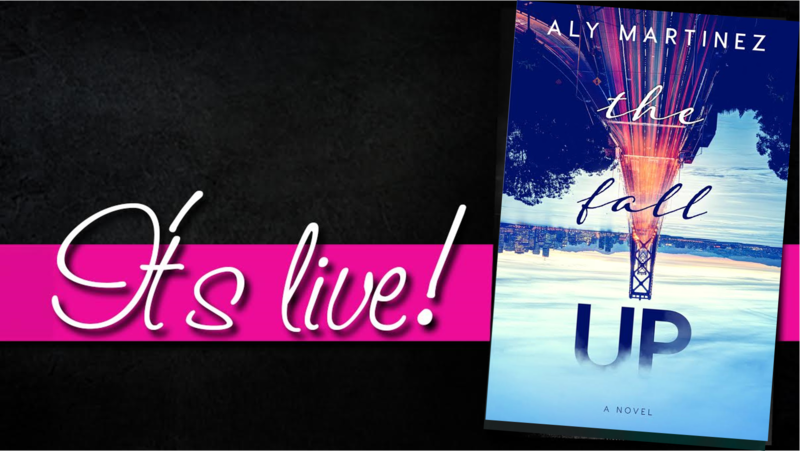 Like any book by Aly Martinez this book was brimming with the most amazing supporting characters, so many moments and lines that’ll have you laughing like crazy, blushing in the best way, and tearing up for a multitude of reasons, and a distinctiveness that defines her books in the best way. You get it all in this book. It not only gave me all the feels, all the triumphs, and all the falls, it gave me a set of characters I truly loved and felt so enraptured with. All of the characters were fantastic and real, and I could write a whole other review on my love of Henry. Really. (I a book for him like yesterday!) There’s also an extraordinary distinctiveness that weaves its way through any Aly Martinez book through her dynamic characters, the story she so fully gives you, and her magnificent writing that creates the moments and incredible reading experiences that highlight what sets her books a part. Aly Martinez allowed my heart to be in this book every moment. I will never forget what it was like to experience the literal reading magic that she so thoughtfully creates in every page of this book. She weaves together an incredible story that is bursting with two outstanding and well-developed characters that give you a story you will never stop loving and feeling. Her talent as a writer brings this book to life in the most exceptional of ways, and I know that I will always carry this book with me in some way, shape, or form. The Fall Up is a book that gives you it all. It gives you Sam and Levee, two people searching for what comes next, what will heal them, and what could happen if they take that leap of faith, and see where that breathtaking fall could take them if they only take that terrifying and incredible step. It gives you moments with them that’ll blow you away with everything they’ve so truly give you, and moments that’ll give you them so authentically and fully in a way that’ll have you loving them both by page 2. It gives you such a well-rounded reading experience that will thrill you, squeeze your heart, and heal you, while filling you with so much, hope, love, and fight as these two try to figure out what they could share together. Like I said, if I could live in this book I would. What I got to experience with Levee and Sam is truly something else, something all-feeling, and something that you don’t often get in the books you read. 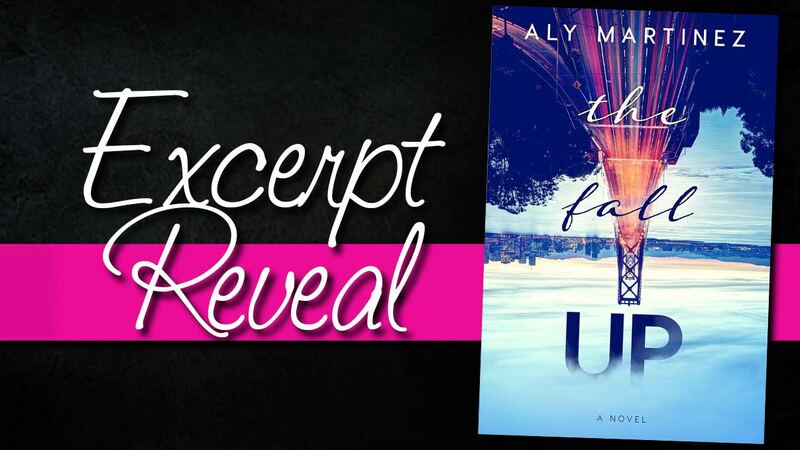 Simply put, The Fall Up by Aly Martinez is superb in every way, and if I could give it all the stars in the world, I would. Let me start this review by saying that not only was this book utterly fabulous, I know for a fact that it’ll be one of my top reads of this year because it was that good. To say that I loved Playing With Fire is putting it very mildly, and the fantasticness of this book is nowhere near mild. This book was enrapturing, vibrant, and so full of the best amount of humor, feelings and emotions, and fierce connection that will have your heart feeling so much. Playing With Fire had it all, and Alison Bliss’s phenomenal writing brought it all to life in the most real and captivating way. From the minute I started this book I couldn’t stop reading because I was so beyond invested in Cowboy and Anna’s story. I had to know what would happen next, I had to have more, and I just couldn’t stop reading, and that was all because of what Alison Bliss so authentically created and captured in this story. Cowboy and Anna completely stole my heart right from the get go, and I don’t know if I’ll ever fully get it back from them. I heart those two something fierce, and throughout this book I fell more and more under their consuming and magical spell. There’s just something about them that’ll enamor you, and you’re going to love every second you spend with those two. This book is the second book in Alison Bliss’s Tangled in Texas Series, though you don’t have to read that book to love this one. The first book in the series, Rule of Protection, was one of my favorite books I read last year, so I wasn’t surprised one bit to find that I loved Playing With Fire just as much, if not more. The world that Alison Bliss so authentically creates in this series is fun, lively, and full of the best characters around. I have to tell you that I truly never wanted this book to end, and I am already looking forward to the next time I get to fall in love with the wonderful and distinctive characters she so thoughtfully created in this book and series. Save a horse, ride a Cowboy. Cowboy, Cowboy, Cowboy. How do I even being to describe how much I loved that man. I have wanted his story ever since the first book in this series, and I wasn’t disappointed one bit with what I got from him. He is charming, flirtatious, and definitely knows the way to a woman’s heart, but more than that he just an honest to goodness good guy. You know that through every page, and even while he’s trying to figure out Anna and what they could share while all the while being his boisterous self, he is a good guy with a heart that’ll definitely melt yours. Cowboy is who he is, he doesn’t apologize for that, and owns every moment of it too. He isn’t afraid to just be him, and that confidence emanating from him just made me love him even more fiercely than I already did. Anna completely stole my heart. Anna was a character I loved and felt so fully for right from the start. This book is told from her perspective, which really allows you to get to know her so well, and the more you learn about her, the more you’ll feel for her, love her, and just connect to her. I loved Anna because I was able to relate to her a lot. She’s on the quieter side, but don’t let that make you think she’s a meek little thing, because that girl certainly has a fiery side that likes to come out to play. She is such a strong female character in her own way, and I had mad respect for her because she kept fighting for the life she wanted to lead after she’d been through more than any person deserves. Anna is kind, good natured, and will just warm your heart completely, and it’s impossible not to become captivated by everything you get with her in this book. Fiery connection that continues to ignite. Anna and Cowboy certainly have a fiery connection that continues to spark and ignite throughout this book. That spark begins the moment these two are together, and it keeps sparking and sparking more and more with their continued interactions. Alison Bliss did an extraordinary job creating this build, and this push and pull between them, which invests you so much in everything that they’re sharing. That build and spark gets hotter and fierier the more you read, and you will be in awe of the fireworks when it finally explodes. Anna and Cowboy are seemingly opposite, but there’s this raw and immense connection they share that they can’t ignore, and you get to explore the explosiveness of that connection all throughout this fantastic book. Mystery and suspense, oh my! One of my favorite aspects of this book had to be all of the mystery and suspense so thoughtfully weaved into the story. There’s definitely a few different mysteries weaving their way through these characters and story, and the more you read the more you find out. With each new puzzle piece you’ll want to read more, and all of that mystery pulls you in so immensely to every bit of what you’re reading, and I am telling you when it all comes together you will be shocked in the best possible way. You not only get the best amount of romance and feels in this book, you get the mystery and questions and suspense to thrill you every step of the way while reading, making everything you’re experience that much more incredible. Getting the vulnerabilities of the characters. As you get to know Anna and Cowboy more, you also get to see so many different sides to them. They both have their strong and fierce sides, but as you delve deeper and as their feelings for one another strengthen, you get to see their vulnerabilities too. You see and understand their worries, their hesitations, what scares them a bit about giving into what they’re feeling. Seeing that vulnerable side to them both allows you to understand so much of where they’re coming from, while also allowing you completely understand the why behind the choices they make. You just get them. Their vulnerabilities are so fantastically brought out and explored from Alison Bliss’s writing, and I loved them both more because I got to see and feel that from them. The feeling of family in the heart of Texas. Reading Playing With Fire kind of felt like going home. This world of this book and its fabulous characters welcomed me with open arms, and that warmed my heart and had me loving what I was reading all the more. I read this book with a huge smile on my face and my heart feeling so much, not just because of Anna and Cowboy and their magnificence, but also because of the other characters that make this series so exceptional. Jake, Emily, Hank, Floss, Junior, Bobbie Jo, Ox, Judd, and everyone else completely won me over once again, and I love all of them for the distinctive people they are. They each add something different to the story, and experiencing this book so fully with them is nothing short of incredible. They all felt like family to me, and that feeling of family warmed my heart a million times over and incorporated itself so perfectly into this book. All the many vibrant moments you feel every ounce of. Playing With Fire is full of so many vibrant moments that you will feel so immensely. You’ll have moments that’ll make you laugh and just enjoy the life you’re living with these characters. Moments that’ll break your heart and having you want to reach in and make it all better for both Anna and Cowboy. You’ll also have moments that’ll take your breath away because of what these characters are sharing, and the jaw dropping moments that are revealed around every corner. Alison Bliss’s writing allows you to feel and fully experience every one of those moments making this book all the more memorable and enjoyable to experience. Playing With Fire was an all-around exceptional book that gave me every single aspect that I loved. It had a story that kept me hooked through every word and twist and turn. It had characters that were dynamic, thoughtfully crafted, and easy to connect to and love. It also had the best amount of feeling and emotion, heat and chemistry, and moments that’ll have you laughing, crying, cheering, smiling, and just loving every bit of what you’re getting. I could honestly go on for so many more words about how much I loved this book. I felt alive reading it, and I was so captivated by Anna and Cowboy and their vibrant and fiery journey together. They don’t have the easiest of stories, but as the saying goes, everything worth having is worth fighting for. Anna and Cowboy and what they share is worth fighting for. These two characters are amazing and distinctive and so very strong, and yes they are serious opposites, but what they share together and what they could have if they gave into it all is truly mesmerizing in the most magnificent and all-feeling way. Playing With Fire lets you go on an enrapturing journey with Anna and Cowboy as they try to figure out what in the world they’re feeling for one another. Their journey is full of twists and turns, and plenty of emotion, and I promise that you will be blown away with everything you get from them. You’ll love them, you’ll feel them, and you’ll bask in every moment you share so fully with them in this book. It truly doesn’t get better than what you get in every outstanding word of Playing With Fire by Alison Bliss. Trust me. This book will have you loving every bit of what you’re reading, and experiencing, and you truly won’t want it to end. Ever. Buy Playing With Fire today!! And be sure to see where the series started in Rules of Protection!! Be sure to check out the AMAZING book trailer for Playing With Fire too! Every once and awhile I come across a book that I know will stay with me forever. A book that moves me, that allows me to feel everything, and gives me the chance to so truly and authentically live and breathe within its magnificent pages. A book filled with such phenomenal characters weaving their way through an unforgettable story that captures me in mind, body, and soul, and truly never lets me go. Blue Horizons by Kathryn Andrews was all that and more. This book is hands down one of my favorite books that I’ve read this year, and I know that Ash and Ava and their emotionally breathtaking story will stay with me in so many ways. You don’t read a book so eloquently and beautifully written as this one without having some part of it stay with you permanently. The fantastic characters, the captivating story, and all of the superb feelings and emotions emanating so outstandingly from Blue Horizons found their way deep into my heart right from the very start, and I know they’re here to stay. It’s pretty safe to say that Kathryn Andrews is one of my favorite authors. Her books are ones that I love and feel every word of, and they’ve all taken me on some incredibly enrapturing journeys with some amazing and wonderful characters. Her writing is so fluid and seamless, and allows you to become so wonderfully consumed and invested in what she is creating. You don’t just read her books, you live through them with these characters because of how outstanding her writing is. She puts you there, heart first, feeling, experiencing, and loving it all because of how connected you are to the story and its characters. I could honestly go on and on about how much I love her fantastic writing, and how much I connected to Ash and Ava throughout her thoughtfully crafted and beautifully written book. Her words just give so much, and I gladly took all of it because it was all amazing to experience. Blue Horizons tells the emotionally enrapturing story of Ash and Ava, two musical souls searching for something more. They both find themselves in the mountains of North Carolina, a bit lost, seeking some time to recharge, and looking for that something more that they both so truly crave and seek. What they find is each other, and a whirlwind of immense feelings that leads them to places they never thought they’d be. Ash and Ava have both gone through so much in their pasts and present, and in Blue Horizons you get the phenomenal chance to go along with them on their emotional journey as they figure out what they could share with one another, if they only gave it a chance and fought for that light in the dark. Kathryn Andrews weaves so many phenomenal aspects together in this Blue Horizons to make it such a well-rounded book that gives a truly extraordinary and all-feeling reading experience. You get the emotions and feelings from both of these characters that drive this story to the most breathtaking places. You get a bit of mystery that is fantastically added into the story pulling you into everything you’re reading so immensely, and with each new puzzle piece to the story and characters you get, you end up loving these characters and everything you’re experiencing with them all the more. You also get music. So much amazing and beautiful music that is woven so fantastically into the core of these characters and the story itself in such a way that reading this book is like listening to your favorite song. Your love for it just builds and builds throughout, and once you reach that cadence and that peak that love is amplified times a million, and all throughout you simply can’t get enough and want to replay it over and over again. I couldn’t get enough of Ash and Ava. I still can’t get enough of Ash and Ava as I sit here writing this review. I love those two something fierce, and all throughout Blue Horizons, I wanted to reach in and hug them both, cheer them on, and let them know that they were the best because that’s what they were. Ash was just an honest to goodness good guy. I can’t say enough how much that goodness emanated from him in Blue Horizons, and how much I love and respected his character. I fell so hard for him right from the start, and I lost count of the amount of times that man made me full on swoon. He’s pretty much the best, and you will love, feel, and connect to him right from the moment you start this book. When you meet him, he is burnt out and looking for a break and maybe a little something more. What he finds on that break is certainly the more he’s been searching for, and will scare him, move him, and bring out so much in him that will leave you breathless in the best possible way. Suffice to say, I heart me some Ash, and that man is truly golden in my eyes. Ava’s character was one that I felt connected to from the moment I met her. She is very real and relatable, and so easy to love. She also has one of the most heart squeezing and pain filled stories I’ve ever read, yet she is fighting through it all and doing her best to just be. There were so many moments where my heart shattered for her. I felt beyond emotionally connected to her as I got all of the pieces to her, and I was so invested in her journey as a character because of how breathtakingly beautiful Kathryn Andrews created her character. When you meet Ava in this story she is pushing through it all, just trying to get by and past the darkness that has surrounded her for so long. She’s looking for that light, that beacon of hope to pull her through and to fill her with everything she’s been searching for, and that is where one Will Ashton comes in and changes everything. Ash and Ava definitely go through a journey in Blue Horizons. It isn’t always easy for them, in fact it’s downright hard from time to time, but through it all these two keep pushing and fighting and giving it their all so that they can explore what it is that they share. Their evolution together and the effect they have on one another will have you loving them all the more, and truly feeling what those two mean to one another. They have so many moments in this book that will make your heart melt from the feeling what they’re sharing, and what they’re putting on the line. So many moments where your heart will break and squeeze for them because of what they’re going through as they try to figure out what it is that they could share. They also share so many moments that will have your heart racing because of the butterflies and spark that they so authentically and immensely create for one another. You get it all with Ash and Ava. Their emotional and all-feeling journey is one that will consume you from beginning to end, and have you experiencing every ounce of what they are as they give their all in the hopes of finding that light and that more that they both are seeking and so truly deserve. I really could continue telling you about how much I loved Blue Horizons by Kathryn Andrews. I could tell you more about the amazingness that is Ash and Ava, and their emotional and breathtaking journey together that you will feel so truly with your entire being. I could let you know about all the supporting characters that round out this book, and make it even more enjoyable to read. I could keep telling you about every single memorable moment of this book that had me smiling like crazy, tearing up more times than I could count, laughing and blushing and just feeling it all. I could even keep talking about Kathryn Andrews and her outstanding writing that brought the world of this book and these distinctive and wonderful characters to life. I could continue for pages and pages about how much I loved this book, and I still wouldn’t come close to capturing how extraordinary Blue Horizons is. I wouldn’t come close to doing this book, its unforgettable story, and its phenomenal characters the justice they so rightly deserve. Kathryn Andrews truly blew me away with everything she gave me in Blue Horizons. I felt it all. I lived it all. I loved it all. Like I said, every once and awhile you read a book that moves you. A book that lets you feel and experience it all so wholly. A book that makes you realize why you read, because when you read a book like Blue Horizons, you’re reading pure literary goodness and magic that will take you on a journey you won’t soon forget. Reading a book as exceptional as this one just reminded me over and over again why this author is one of my favorites, and why the stories and characters she so beautifully crafts are ones I will always remember and treasure. Blue Horizons by Kathryn Andrews is a book that gives you everything. It’s book about two musical souls searching for that something more, and the pure, unadulterated magic that can happen when you get a glimpse and find that someone who shows you the light and the feeling you’ve been searching for. It’s a story about giving it your all, finding the beauty in overcoming all the pain, and experiencing that glorious and beautiful light that can truly change your life if you let it. This book is beautiful, feeling, and breathtaking in every way, shape, and form, and I promise you that you will be left in awe with all that Ash and Ava give you. They will blow you away with everything they’ve got, and in the end, you will love and bask in every single incredible and remarkable moment they so truly give you in this exceptional book. Read this book. Feel this book. 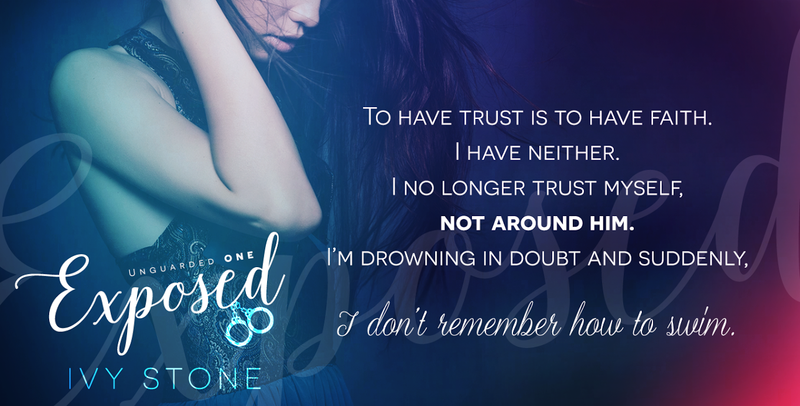 Let it consume you, and let Ava and Ash steal your heart a million times over. You won’t be sorry one little bit that you gave them that chance. Trust me. 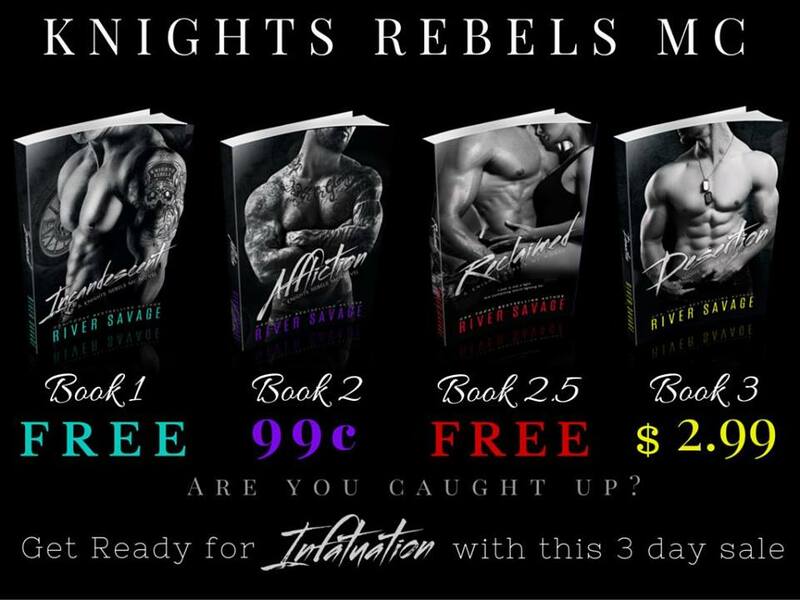 I have loved each and every one of River Savage’s Knights Rebels MC Series and Infatuation was no different. It was intense, enthralling to say the least, and gave me a story that I couldn’t wait to get my hands on from the moment I met these characters in this series. River Savage is hands down one of my go to authors, and I have loved all of the phenomenal stories she has written because they are all unique, pack a serious punch, and just give me one helluva reading experience that stays with me for days after reading. When I sit down to read a book by her, I know I will be getting a story that will completely captivate me from beginning to end, characters that will root themselves into my hear while reading, and the most fantastic balance of intensity and feeling that I could ask for. I got all of that and more while reading Infatuation. Like I said, I have been waiting for this book ever since I met Beau’s character. He’s always intrigued me, and the whole storyline with Mackenzie that River Savage so seamlessly added into the other books of this series had me more than ready to see what in the world was going on with these two. I wasn’t disappointed one bit by what I got in this book, and all throughout reading I was just reminded again and again why this series is one of my favorites. Beau, Beau, and more phenomenal Beau. The mysterious and alluring Beau has intrigued me since the moment I met his character in Incandescent. The bits of him I’ve gotten over the course of this series has had me more than ready for his character, and River Savage brought him to life in the most phenomenal way. Beau is intense and a force to be reckoned with, but in this book you get to dive so deep with his character. You get so much for him, showing a completely new side to him, and that melted me while reading. There is so much to Beau that will just blow you away, and with each passing page in this book I fell more and more for his brooding self because he was who he was, had no apologies about it, and that just made him all the more fantastic. 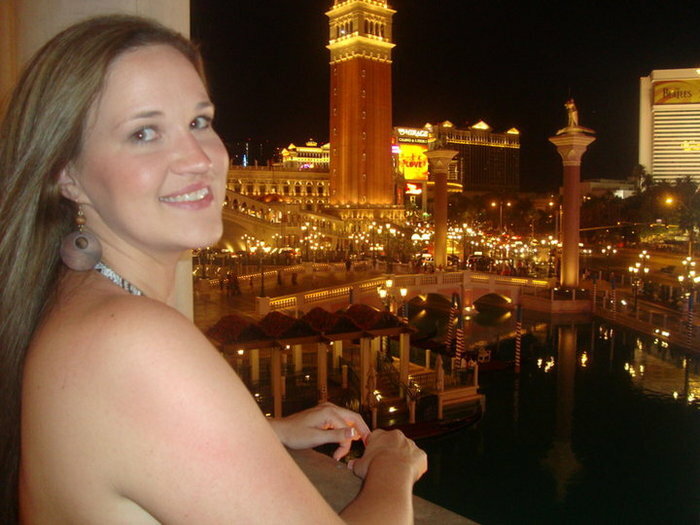 Mackenzie’s heart squeezing story. Mackenzie’s character was one that I felt for from the instant I met her. Her story will break your heart a lot, because that girl has been through it all, but through this book you get to see her journey evolve a lot. You get to see her become stronger, surer, and more of who she is now that she’s back with Beau. I loved how much I felt for Mackenzie, how connected I felt towards her character, and just how real she was. She was an easy character to love, and I felt like I was with her on her journey throughout this book because of how thoughtfully River Savage wrote her character. Mackenzie is so many things, but most of all she is a fighter with a true spirit, and you get that tenfold in Infatuation. All the feels and more feels. One of my favorite aspects of this book was all of the feels that River Savage so fantastically incorporated into this story. I felt every bit of this book. Every intense moment, every moment that took my breath away, every moment that had fear and adrenaline coursing through me. Along with that I got so many moments from both Beau and Mackenzie that had me feeling everything that they were. Every hope, every worry, every moment of desire and connection, and every feeling they had towards one another. All of those amazing feels made reading this book even more enjoyable because I got to feel it all. The thoughtful weaving of the past. 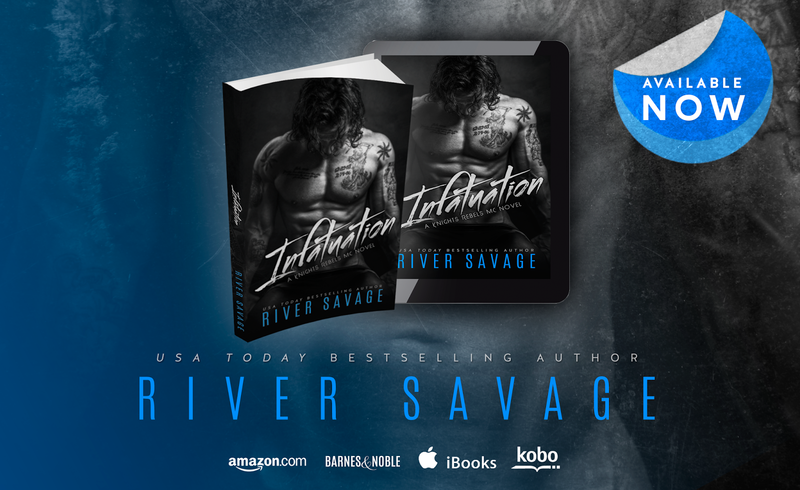 In Infatuation, River Savage thoughtfully and outstandingly weaves the past of Mackenzie and Beau into the present day story. I loved that so immensely because it allowed me to see how these characters got to where they were in the story, and gave so much meaning to the present events taking place. I got to see where the past went so wrong for Mackenzie, how she fought through it all, and how those events eventually brought her and Beau together. The way the past is weaved into this story heightens everything that you’re reading, and makes it all more real, all the more meaningful, and all the more powerful. That past is downright scary at times, but it brings Mackenzie and Beau’s heart squeezing story to life in the most authentic and memorable way. Heart racing, heart tugging, and heart squeezing moments. Infatuation gives you so many moments you feel in your heart. There are the moments of heat and passion and desire that send it racing. The moments that tug and pull at your heart because of all the pain and anguish these characters are experiencing. The moments when your heart squeezes because of the hurt that they’re feeling, the fight that they’re giving, and all that they’re going through as the events of this book unfold. You get all of those moments and more as you read Infatuation, and you feel them all so truly in your heart. Each and every one of those moments makes this book one you will so fully experience and love because of it. All the glorious fight. There is so much fight in this book, and that defines this story and its characters in the best possible way. Beau and Mackenzie are fighting their pasts, fighting for their future, and fighting the demons that lurk around every corner. Through every fantastic page of Infatuation you feel and get the full force fight these two are putting towards it all, and it just makes you love what you’re reading more because you’re getting all of that fight. That fight illuminates so much about them both, and you’ll love all that that fight gives you as you read Beau and Mackenzie fight their way through their magnificent journey together. The wonderfully distinctive members of the Knights Rebels MC. Now it wouldn’t be a Knights Rebels MC book without the fantastically distinctive characters that make up this group of people. Getting to spend more time with all of the characters I’ve come to know and love is just one of the many things I love about this series. They are all them, and they are all downright wonderful. Nix, Kaydence, Brooks, Kelly, Sy, Holly, Jesse, Bell, and all the rest of the crew are back and better than ever. You not only get to see where the events of this series have taken these characters, but you also get to see why you love them all so much in the first place. This book just reminded me once again why they are some of my favorite characters around, and I can’t wait to see more of them all soon! A very tough topic that’s so thoughtfully captured. River Savage takes on a very heartbreaking and tough topic in Infatuation: Domestic Violence. She explores this topic in a very well thought out way, and captures it honestly and authentically. She brings that aspect into this story in a way that fits, and in a way that makes you fully feel and understand the ramifications of domestic violence. Her writing and thoughtfully crafted storytelling covers a real and very horrid situation in a way that does this story and its character justice, while also highlighting a very real issue. River Savage and her phenomenal writing blew me away with this, and all I wish I could thank her in person for what she captured and created in this book with this topic because it was outstanding. Infatuation was another fantastic addition to a series that I just love to pieces. It had every single aspect that I’ve come to love and expect from River Savage, and all throughout reading I was reminded over and over again why this is one of my favorite series. River Savage gives you a story you won’t soon forget with Beau and Mackenzie, and I guarantee the moment you start this book, you won’t be able to put it down. Beau and Mackenzie’s story isn’t easy. It’s hard and intense, and has more pain and darkness in it than you can shake a stick at, but it’s also bursting with the most amazing level of fight and feeling that will have your heart feeling so much. You go through it all with Beau and Mackenzie, and through every incredible word you will fall more and more for the two of them and all that they’ve been through. Infatuation gives you their heart squeezing story that gives you it all, and I for one am thrilled with what I got from them. Infatuation was a book that I loved, and one that reminded me over and over why this series is so good. Beau and Mackenzie and their emotional journey together had me feeling and experiencing so much, and through it all I was just happy to be along for the ride. This series and these characters are some of the best and most memorable around, and I honestly can’t wait for the next book in this series because I kind of already miss them and their fantastically distinctive selves. Like a lot.